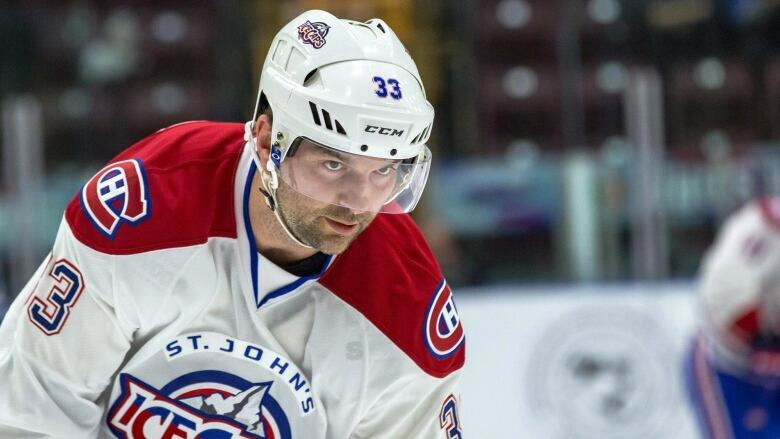 The Montreal Canadiens have recalled forward John Scott from the St. John's IceCaps. Montreal announced that the 33-year-old 2016 NHL All-Star Game MVP would join them for the first time since being traded to the organization on Jan. 15. Scott has two goals, four points and 85 penalty minutes in 27 games with the Canadiens' American Hockey League affiliate. In return, Montreal sent winger Michael McCarron back to St. John's. Scott was acquired from the Arizona Coyotes as part of a trade for defenceman Jarred Tinordi prior to the all-star weekend. Scott made his unlikely journey to the All-Star Game after winning the fan vote and being named captain of the Pacific division. Prior to his stint in the AHL, the Edmonton native had a single assist in 11 games with the Coyotes. His last NHL appearance was Dec. 31 against the Winnipeg Jets, where he logged just over five minutes of ice time. Many fans are anxious to see where the 6-foot-8 winger will factor in Montreal's lineup as they face the Florida Panthers at the Bell Centre on Tuesday night. The Montreal Canadiens have called up John Scott on an 'everyone wants to see him play' basis. I think the Habs just want to be in the John Scott movie. Montreal was officially eliminated from playoff contention on March 26 after a difficult season that saw reigning NHL MVP Carey Price go down with an injury in November.